Inquiry-based learning methods, coupled with advanced technology, hold promise for closing the science literacy gap for English learners (ELs) and students with learning difficulties (SWLDs). Project ESCOLAR (Etext Supports for Collaborative Online Learning and Academic Reading) created collaborative online learning units for middle school science to meet the needs of ELs, SWLDs, and general education students. In a randomized controlled trial with 1,174 students, 28 teachers implemented one of two online units in their classrooms after completing a Web-based professional development course. Results showed that treatment condition students, including ELs and SWLDs, significantly improved science knowledge compared to controls; ELs’ gains indicated a knowledge gap reduction compared to general education students. Findings suggest that quality science curriculum and effective technology practices can help all students learn science and prepare for future global scientific challenges. Terrazas-Arellanes, F., Strycker, L., Walden, E. & Gallard, A. (2017). Teaching with Technology: Applications of Collaborative Online Learning Units to Improve 21st Century Skills for All. 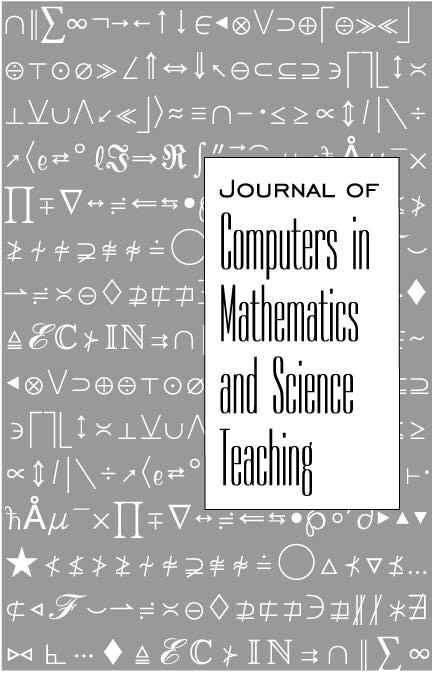 Journal of Computers in Mathematics and Science Teaching, 36 (4), 375-386. Waynesville, NC USA: Association for the Advancement of Computing in Education (AACE). Retrieved April 23, 2019 from https://www.learntechlib.org/primary/p/178279/. Cobbs, G.A., & Cranor-Buck, E. (2011). Getting into gear. Mathematics Teaching in the Middle School, 17(3), 160–165. Guzey, S.S. (2010). Science, technology, and pedagogy: Exploring secondary science teachers’ effective uses of technology. (Doctoral dissertation). Harada, V., Kirio, C., & Yamamoto, S. (2008). Collaborating for project-based learning in grades 9–12. Worthington, OH: Linworth Publishing. Hayden, K., Ouyang, Y., Scinski, L., Olszewski, B., & Bielefeldt, T. (2011). Increasing student interest and attitudes in STEM: Professional development and activities to engage and inspire learners. Contemporary Issues in Technology and Teacher Education, 11, 47–69. Hegedus, S.J., & Roschelle, J. (2013). The simcalc vision and contributions: Democratizing access to important mathematics. New York, NY: Springer. Kuiper, W., van den Akker, J., Letschert, J., & Hooghoff, H. (2007). Balancing prescription and professionalism in curriculum policy and practices. Paper presented at the European Conference on Educational Research (ECER), Belgium, Ghent. Lee, O., Quinn, H., & Valdés, G. (2013). Science and language for English language learners in relation to Next Generation Science Standards and with implications for Common Core State Standards for English language arts and mathematics. Educational Researcher, 42, 223–233. Martin, M.O., Mullis, I.V.S., & Stanco. G.M. (2012). TIMSS 2011 international results in science. Chestnut Hill, MA: TIMSS & PIRLS International Study Center. National Center for Education Statistics. (2015). The Condition of Education 2015. NCES 2015-144. Washington, DC: U.S. Department of Education.